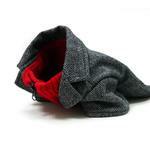 The Tweed Dog Blazer by Dogo - Gray is the new go to for the chic pet! 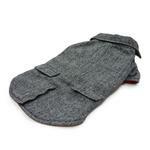 Keep your pooch warm and in style with the Tweed Dog Blazer by Dogo - Gray! Its red fleece lining and luxurious tweed fabric, with accent pockets, combine fashion and functionality for chilly walks or events! 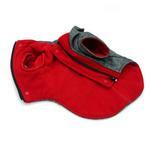 Its leash hole on back makes it easy to change from walking to home quickly. 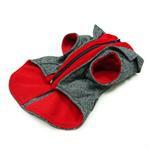 It has a zipper for a secure fit and can be put on or off as a pullover. Fast delivery. Limited availability of products I like in size I need. Product I did buy according to size chart ended up running large. Could have used a smaller size. Quality is good.